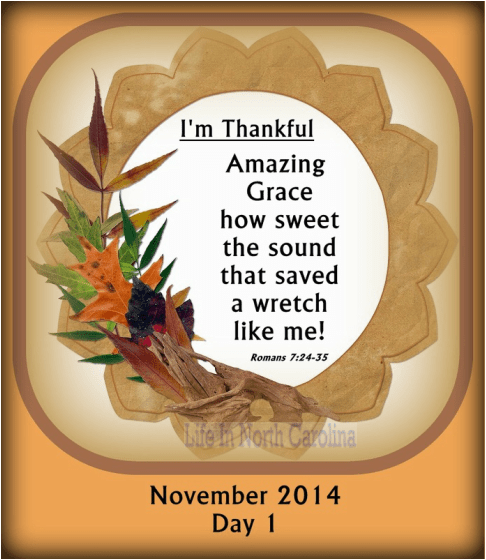 I am working on a Thankful Album for November of 2014. Yes, we ought to be thankful every day to God who made us and gave Himself for us, but it is nice to focus on it in the month of November! I’m amazed at the grace of God which can save a wretch like me! And it did 50+ years ago! Have you been ﻿saved by the grace of God﻿? Have you been saved by His grace?